Gin is known as a gentleman's drink, full of class and sophisticated notes of flavor almost too subtle to detect. Treat your friends to a bottle of spirits sure to complete their liquor cabinet. 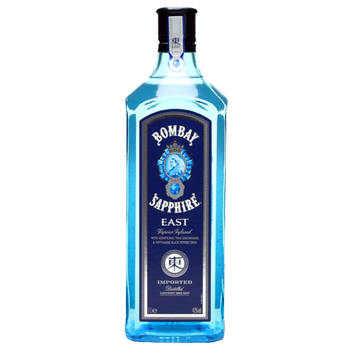 Your recipient will receive a bottle of delicious Bombay Sapphire East Gin (750 ml), with flavors of peppercorn and lemongrass. Celebrate his engagement, reward them for passing finals, or simply make them smile with Bombay Gin. Please note: The delivery of this item may take 3-4 days depending on the location. It can't be ordered to Alabama, Alaska, Arkansas, Delaware, Massachusetts, North Dakota, Oklahoma, Pennsylvania, Rhode Island, South Dakota, and Utah.